“For most of human history, maps have been very exclusive,” said Marie Price, the first woman president of the American Geographical Society, appointed 165 years into its 167-year history. “Only a few people got to make maps, and they were carefully guarded, and they were not participatory.” That’s slowly changing, she said, thanks to democratizing projects like OpenStreetMap (OSM). OSM is the self-proclaimed Wikipedia of maps: It’s a free and open-source sketch of the globe, created by a volunteer pool that essentially crowd-sources the map, tracing parts of the world that haven’t yet been logged. 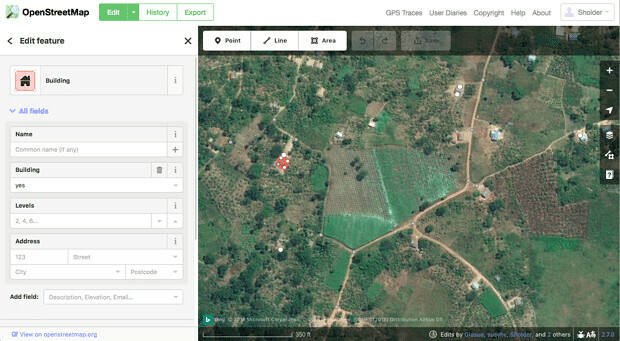 Armed with satellite images, GPS coordinates, local community insights and map “tasks,” volunteer cartographers identify roads, paths, and buildings in remote areas and their own backyards. Then, experienced editors verify each element. Chances are, you use an OSM-sourced map every day without realizing it: Foursquare, Craigslist, Pinterest, Etsy, and Uber all use it in their direction services. 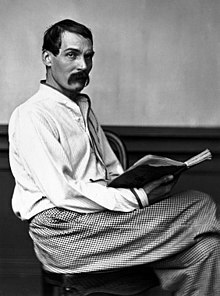 As we find our way, we might send exploratory birthday greetings to Sir Richard Francis Burton; he was born on this date in 1821. An explorer, geographer, translator, writer, soldier, orientalist, cartographer, ethnologist, spy, linguist, poet, fencer, and diplomat. He was famed for his travels and explorations in Asia, Africa and the Americas, as well as his extraordinary knowledge of languages and cultures (according to one count, he spoke 29 European, Asian and African languages). An exception to the pervasive British ethnocentrism of his day, he relished personal contact with human cultures in all their variety. His best-remembered achievements include: a well-documented journey to Mecca in disguise, at a time when Europeans were forbidden access on pain of death; an unexpurgated translation of One Thousand and One Nights (commonly called The Arabian Nights in English after early translations of Antoine Galland’s French version); the publication of the Kama Sutra in English; and a journey with John Hanning Speke as the first Europeans to visit the Great Lakes of Africa in search of the source of the Nile.